NCU Training has teamed up with CEEDs Clondalkin to deliver training in the South Dublin Area. Some useful tips on using Twitter in your job hunt. In short, Twitter is described as a microblogging platform, the micro part referring to the limited number of characters a ‘tweet’ is made of, 140 to be exact. The limited number of characters has been a major part of twitters success, in a classic less is more way. It’s difficult to turn a blind eye to twitters influence when you consider most every media today references the social media giant. By using the #hashtag companies and individuals can create trends, which can be global or specific depending on their relevance and reach. The use of #hashtags locally or even nationally can mean that we too can have a voice and get in on the conversation. One #hashtag that has become very useful in Ireland is #jobfairy, If a company or individual is advertising a position they can put the word out on twitter by tagging the tweet with the relevant #hashtag in this case its #jobfairy. To then view tweets with this #hashtag we use the search bar at the top of Twitter. 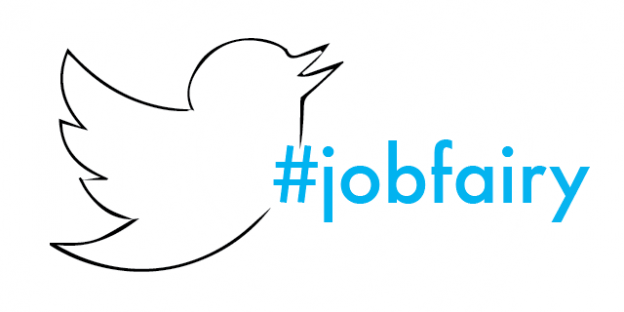 The jobfairy hashtag has become very popular with many companies advertising positions using it. Because twitter is so instant it is very easy to be quick to act when a position becomes available. I get it, but can it actually help me get a job. At the end of the day, I can’t speak for anyone but myself. Another tool in your jobsearch can’t be a bad thing though. I find twitter to be a great place to connect with influential people in the industry you wish to work in. By being involved in their circles you can see who they connect with, what their tweets are about, what their interests are etc. It will give you a feel for the industry you want to work in and keep you clued in to what is going on.